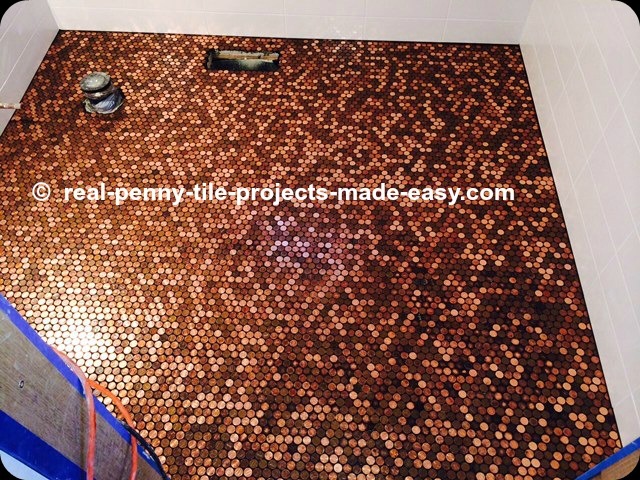 This picture of a bathroom floor covered with our tile sheets of pennies is provided by one of our customers during their bathroom remodeling process. Bathroom Floor Covered With Our Tile Sheets Of Pennies. It's truly an amazing and unique look. Come back soon to see the final pictures of this penny covered bathroom floor.